One of the grand masters of alternate history is back with a tale centering around a pivotal moment in modern United States history: the 1932 presidential election! In 1932, the Great Depression has engulfed the world and has its deathly grip firmly around the throats of the United States of America. Whether it was his fault or not, President Herbert Hoover is pointed at as the person who let it happen. For was it not under his weak leadership that the 1929 stock market crashed, costing the country hundred of billions of dollars, if not trillions? Wasn’t it Hoover who did nothing worthwhile as bank closing after bank closing robbed the average American of his life savings? And wasn’t it the President who buried his head in the sand since, telling everyone they just have to wait til the worst is over? Yes, it was: the Great Depression all Hoover and the Republican Party’s fault, and, soon, Americans will boot him and his party out of office for good. At least, the Democrats meeting at the Democratic National Convention believe that is what is about to happen. All they have to do is find the right presidential candidate for a desperate, American electorate to get behind, and the reigns of power will be theirs for the first time in decades. The two contenders for the job: New York governor Franklin D. Roosevelt and California congressman Joe Steele. But then fate intervenes! A fire claiming the life of one of the candidates. A terrible accident that leaves everyone with only one choice. But what if the fire wasn’t really an accident? And what if, the future President of the USA was not only behind it, but actively engaged in this sort of violence as part of his governing? Could America somehow endure that type of strong-arm leadership and remain free, or would the winds of authoritarian rule sweep over the Atlantic Ocean and bring with them an America Hitler? And if an American Hitler did arise, how would the history of the modern world change? Those “what-if” questions and more are posed by Harry Turtledove in this novel, and the story that develops does its best to answer each and every one of them. It takes the reader from the sweaty, smoke-filled halls of the Democratic Convention to the oval office. It begins in the world of The Great Depression and ends with the Cold War era of the late fifties. It looks not only at how history would have changed if another man had led the United States during World War II but how the imprisonment of scientists and thinkers might have hampered the evolution of the modern world. In point of fact, Joe Steele takes upon itself the task of rewriting nearly three decades of modern world history in a single volume. 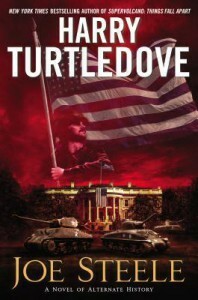 As long-time readers of the author already knows, when tasked with covering such a huge span of history, Mr. Turtledove generally focuses the narrative on small periods of time, using a simple, straight forward style with multiple view points and numerous characters to create not only an alternate world but a compelling, character-driven story. In this way, a reader can admire the changes in this world’s history from our own, but also get to tag along behind the leaders and the average Joes whose society he is merely visiting. It is a writing strategy Mr. Turtledove has used to great success with many of his other alternate history novels, but while he attempts to utilize it again in Joe Steele, it fails for the most part, because the time period he is covering is just too vast. What I mean by that last statement is that when a pivotal event occurs to Character A in Chapter 1 by Chapter 6 it is so far removed in time from what is now happening to him that it really has no bearing on the ongoing plot any more. Times have changed. The old ways are no more. He isn’t 20 years old anymore but now 27 years old, married with a kid. The jumps in time from one event in his life to the next dilutes the suspense, the drama, and the horror of certain things that happen. Honestly, when something horrendous was done by the powers-that-be I would find myself startled, until after a chapter or two it didn’t seem to matter anymore, because now World War II had started or the atom bomb had been invented or another war had begun. In the face of those types of historical events, how could anyone’s personal story really matter to a reader? 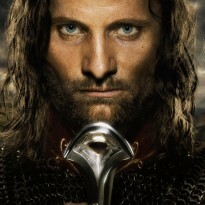 Here it didn’t, because time (and the character himself) had already moved on. Now, do not mistake me: Joe Steele is still an interesting novel – if for no other reason than it posed a really intriguing alternate history question, which Mr. Turtledove did an excellent job answering and illustrating through an alternative timeline of events. My main problem with it is that the characters and their stories took a backseat to this history, which wasn’t such a good thing in my opinion. Roc Publishing and Netgalley provided this book to me for free in return for an honest review. The review above was not paid for or influenced in any way by any person, entity or organization, but is my own personal opinions.